I have decided to do nothing. To let the game come to me. To see how things play out. There is actually a name for this approach (and no, it isn’t laziness, surrender, helplessness, or any other victim-like characterizations!). The literal meaning of wu wei is non-action or non-doing. The practice of wei wu wei — action without action — is a fundamental tenet in Chinese thought, mostly emphasized by the Taoist school. Taoism is a Chinese philosophical tradition whose roots extend back to 3000 B.C. The essential message of Taoism is that life constitutes an organic, interconnected whole which undergoes constant transformation. I’m a’thinkin’ my organization is about to undergo a transformation. More accurately, there is likely going to be a whole lotta change over the next few months, with the intended effect being transformation. And, ultimately, an enhanced capability to drive sustained shareholder value. At the very same time, because of my specialized expertise, I am outside the transformation, above it so to speak, in the sense that I can see what’s about to happen, not necessarily in detail, but in affect. Change is hard. Transition is hard. Acceptance is hard. So I have decided to do nothing … to take no action … to go with the flow … to wait things out … to let the game come to me … to see how things play out. I am going to emulate the mother bird that is in her nest amidst the angry flow of the waterfall. I am going to be, in the midst of the turbulence, at peace. And I am going to trust in myself, believing that I will know when the time is right for me to act with action. I will have a reservoir of energy to ferociously apply my expertise. Until then, I will act without action. Do you think chanting would be helpful? I have never really tried to meditate. I want to, again. Any guidance on how best to try again? I’m using a very simple 20 minute meditation that was developed by Dr. Herbert Benson at the Mind/Body Medical Institute here in the Boston area. I suggest trying out the shorter meditations using the podcasts from the link above (I used the basic 5 minute breathing podcast as a starter exercise, haven’t explored some of the others) and I can share the 20 minute version with you via email. Supposedly, doing 20 minutes of meditation a day regularly (3x/week or more) can radically change the way your brain is wired to handle anxiety and stress. 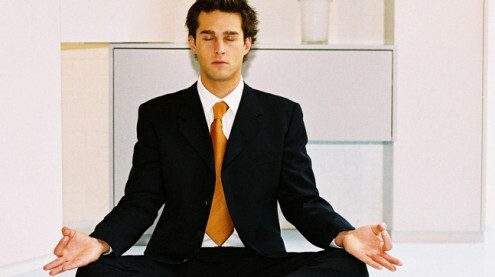 From what I’ve learned, meditation is like any other skill. It comes easier to some than others, but it’s a skill that can be learned and can be improved with practice. Awesome; more homework! Good stuff here; I checked out the 5 minute one already. Thank you! Dan! You are full of surprises! I will order the book. And I will look up that verse … Thanks for the homework! Nice post! Makes you think (hence nice post). Most of our client service staff has wu wei tendencies – to their detriment! Your application seems much more appropriate. Good luck! Sometimes the hardest course of action is non-action. As opposed to inaction, non-action is a choice made after carefully deliberating on the options in front of oneself. As a teacher, I have learned that it is also the best way to create a forum/atmosphere for learning in my classroom. If I continually step in every time my students stumble, they never learn to catch themselves, to find the balance needed to hold themselves aright. Phenomenal Lori. Holy cow your comments are awesome! The difficulty of acting without acting, and your succinct inaction v. non-action point … and then your application in the classroom … it reminded me of my earlier butterfly rescue blog post … Thank you so much for pushing the post deeper! ROTFLMAO . . . thank you for helping me find my first smile of the day, my dear old friend. This post is antithetical to every fiber in my body and yet there is a voice that tells me that I need to find my Taoist alter ego and trust him/her from time-to-time. Thank you for being my mirror today! Well this is an interesting reaction to that post, but I shouldn’t be surprised coming from you! Yes, I can see wei wu wei not exactly being your M.O. … yet! Listen to that inner Tao voice … Ha!